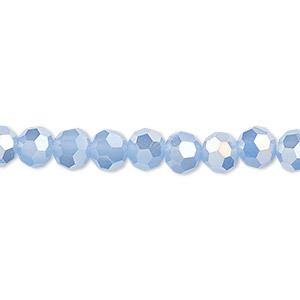 Bead, glass, 32-facet, frost light blue AB2X, 6mm faceted round. Sold per 15" to 16" strand. Solid color throughout, the intensity and faceting may vary slightly due to different dye lots and cutting techniques. Solid color means the base color of the glass is saturated throughout the object and will not fade or rub off over time. 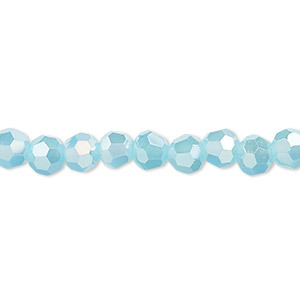 Bead, glass, 32-facet, frost turquoise blue AB2X, 6mm faceted round. Sold per 15" to 16" strand. 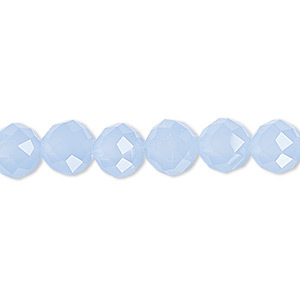 Bead, glass, 48-facet, translucent frost light blue, 8mm faceted round. Sold per 15-1/2" to 16" strand. 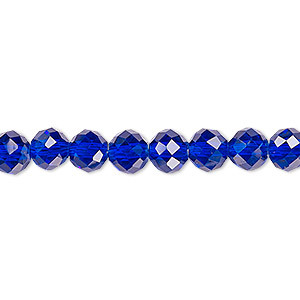 Bead, glass, 48-facet, transparent cobalt, 6mm faceted round. Sold per 15-1/2" to 16" strand. 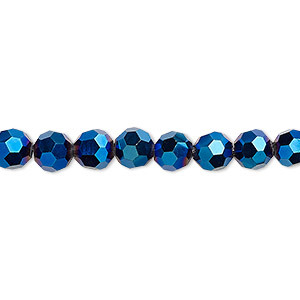 Bead, glass, 32-facet, opaque metallic cobalt, 6mm faceted round. Sold per 15-1/2" to 16" strand. 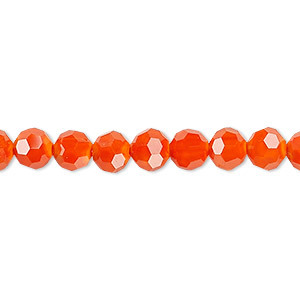 Bead, glass, 32-facet, opaque orange, 6mm faceted round. Sold per 15-1/2" to 16" strand. 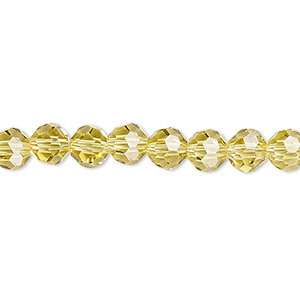 Bead, Celestial Crystal®, 32-facet, opaque yellow, 6mm faceted round. Sold per 15-1/2" to 16" strand, approximately 65 beads. 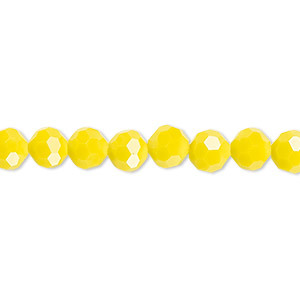 Bead, glass, 32-facet, transparent light yellow, 6mm faceted round. Sold per 15-1/2" to 16" strand. 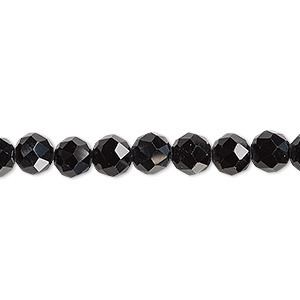 Bead, glass, 48-facet, opaque black, 6mm faceted round. Sold per 15-1/2" to 16" strand. 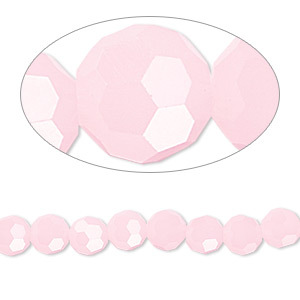 Bead, Celestial Crystal®, 32-facet, frost pink, 6mm faceted round. Sold per 15-1/2" to 16" strand, approximately 65 beads. 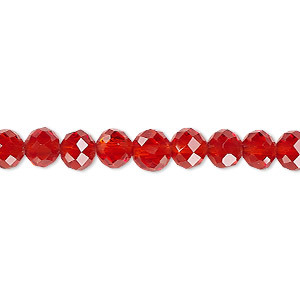 Bead, glass, 48-facet, transparent red, 6mm faceted round. Sold per 15-1/2" to 16" strand.